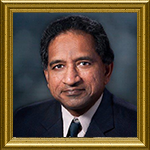 Pradip Cherian joined Gastrointestinal Associates in 2006 after practicing at Doylestown Hospital for 5 years. He attended Christian Medical College in India where he completed his residency in internal medicine. He later moved to England and trained in gastroenterology at Rotherham General Hospital and Northern General Hospital, and practiced as a gastroenterologist in the UK for 6 years. After moving to the United States, he completed a US residency in internal medicine followed by a fellowship in gastroenterology at The Graduate Hospital in Philadelphia. He treats patients with all GI diseases and has published multiple articles in his areas of interest including acid-peptic disease, esophageal dysmotility, and functional bowel disorders. He is board certified in Gastroenterology. He is fluent in Hindi and Malayalam and speaks some Bengali and Punjabi as well.